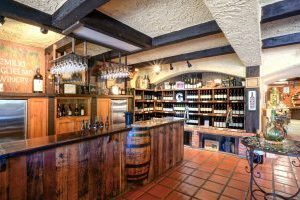 Guglielmo Winery and Valle Monte League have partnered in their efforts in giving back to the community for more than 15 years. Since 1990, Guglielmo Winery has been the exclusive provider for sparkling wines at the annual Christmas Tree Elegance fundraiser to support mental health. We value this esteemed association with Guglielmo Winery as a validation of our fundraising efforts for our charities. Valle Monte League is proud to share this enduring relationship. 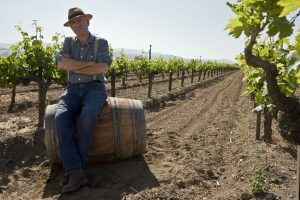 The time-honored tradition of true family hospitality is a hallmark of Guglielmo Winery, the oldest continually running, family-owned and operated winery in Santa Clara Valley. 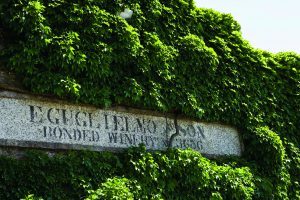 Founded in 1925, Guglielmo Winery is known for its warm, personal service, award-winning wines and community involvement. 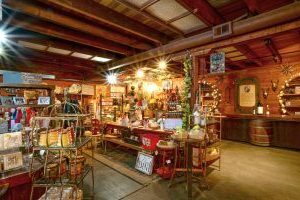 In the extensive Gift Shop, visitors browse through a wonderful selection of superb retail items, while enjoying a taste of history as they savor wines served in the original Tasting Room, built by founder Emilio Guglielmo, more than 90 years ago. The tasting is relaxed and intimate, with the friendly staff pouring something for everyone - from Italian varietals to top of the line Private Reserve wines and festive champagne as well! Guglielmo Winery is very proud to offer you classically made wines in the traditional Guglielmo-style with modest oak, restrained alcohol levels and affordability. The winery offers gorgeous scenery for picnics and impromptu gatherings as well as a beautiful, covered Event area that hosts weddings and concerts all year long. Guglielmo's Tasting Room is open everyday from 10am to 5pm, except for (5) major holidays. The winery is conveniently located just off highway 101 and only a 20 minute hop from San Jose!